Laser Process, the Cannock based laser cutting subcontractor, is urging it's customers to support Ride Side By Side to help raise funds for Help4Heroes and Caudwell Children. We’re getting in to the saddle with disability equipment manufacturer Quest 88 to help them raise £1m in a charity bike ride from John O’Groats to Land’s End. We’re hoping to offer a range of support to the 932-mile Ride Side by Side cycle challenge set to take place over just 12 days in April next year, the money raised will go to the Help for Heroes and Caudwell Children charities. The firm, which makes cycles and mobility aids for disabled people, will use four companion tricycles to cycle the length of the UK. Full details of who’ll be taking part are still being decided but it will include three staff from Quest 88 riding with three members of the armed forces, who have been injured serving their country. 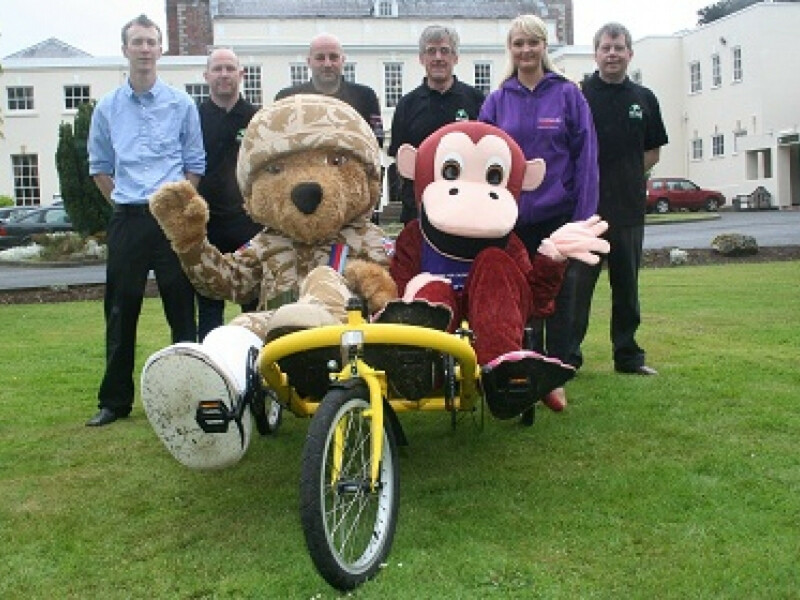 The fourth tricycle is set to be ridden by a variety of well-known figures who are ambassadors for Caudwell Children. To make a donation send a cheque, payable to Ride Side By Side, to Laser Process, or for more details see the challenge website - www.ridesidebyside.info .